Kendra Barrier is an Assistant Professor of Clinical Nursing and a Certified Nurse Educator, currently serves as the Assistant Dean for Student Services (2015 to present) for the Louisiana State University Health New Orleans Center School of Nursing. She received her Bachelor of Science in Nursing (2000), and a Master of Science in Nursing (2009) from Louisiana State University Health Sciences Center and received a Doctor of Philosophy degree in Nursing Education and Administration from Joseph and Nancy Fail School of Nursing at William Carey University (2016). She taught in the undergraduate program as the course coordinator for the School of Nursing’s Health Assessment Theory course and an instructor in the Critical Care Nursing cohort courses. She is the course coordinator of the Evaluation in Nursing Education in the Maters program. She is also an instructor of Basic Life Support (BLS), Advanced Cardiac Life Support (ACLS), and Trauma Nursing Core Course (TNCC). She is certified as a SafeZone Trainer, Emotional Quotient Inventory 2.0 and 360: EQ-i2.0, and Emergenetics. Dr. Barrier’s research interests and publication areas include simulation, emotional intelligence, and cultural competence, expanding her research with her doctoral dissertation: The Impact of a Deliberate Practice Educational Intervention with High Fidelity Patient Simulation on Baccalaureate Nursing Students’ Self-Confidence, Skill Acquisition, and Communication. Dr. Barrier has experience in emergency, intensive care, quality management, and school nursing. She also has experience as a preceptor and a volunteer RN. She has served as the Chairperson for the Academic Undergraduate Council (2010-2015), Secretary for the Epsilon Nu Chapter of Sigma Theta Tau International (2012-2015), Faculty Advisor for the class of May 2015, Chair and panel member of the Honor Code/Grievance Committee (2010-2015), and has been an active alumni and a member of several School of Nursing committees and taskforce. 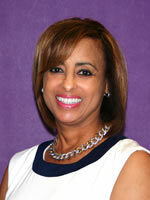 She is currently a member of the Executive Leadership Team and Administrative Council. Serves as ex-officio for the Academic Undergraduate Council, the Academic Graduate Council, the Admission, Graduation, and Progression Committee, the Technology Committee, and the designated administrative representative for the Dean’s Diversity and Inclusivity Advisory Committee. Dr. Barrier is a liaison to the Epsilon Nu Chapter of Sigma Theta Tau International, the Student Life Committee, the LGBT+Ally Organization for Cultural Understanding in the Health Sciences (LOCUS), and the Peer Advocate Liaison Program. She has received many honors and awards including: Outstanding Alumni (2018), the School of Nursing Alumnus of the Year (2016), four Daisy Faculty Awards (2011, 2014, 2015, & 2016), the School of Nursing’s Nursing Caring Award for Faculty (2013), an Academy for the Advancement of Educational Scholarship Educational Enhancement Grant Award, and the Faculty Recognition of an MN Student Award (2009). She has also been nominated for the Allen Copping Excellence in Teaching Award (2014) and the Faculty Daisy Award (2018). Barrier, K. (2018). Summary of the 2016 International Surviving Sepsis Campaign: A Clinician’s Guide. Critical Care Nursing Clinics of North America. Vol. 30(3). Cefalu, J. E., Barrier, K., & Davis, A. (2017). Wound infections in critical care. Critical Care Clinics of North America, Vol. 29(1). Garbee, D.D., Paige, J.T., Barrier, K., Kozmenko, V., Kozmenko, L., Zamjahn, J., Bonanno, L., & Cefalu, J. (2013). Interdisciplinary teamwork and communication collaboration in a simulated code scenario. Nursing Education Perspectives 34(5), 339-344. Garbee, D., Barrier, K., Bonanno, L., Cefalu, J., Paige, J., Kozmenko, V., Kozmenko, L., & Zamjahn, J. (2011). Interdisciplinary teamwork and communication in a high- fidelity simulated code [Abstract]. Clinical Simulation in Nursing 7(6), e252. Paige, J., Garbee, D., Bonanno, L., Rusnak, V., Barrier, K., Cefalu, J., Yu, Q., Kozmenko, L., Kozmenko, V., Zamjahn, J., Nelson, K., & Swartz, W. (2011). Pilot integration of high- fidelity, interprofessional, simulation-based team training of students within a health sciences center [Abstract]. Simulation in Healthcare 6(6), 486-487. Garbee, D.D., Bonanno, L., Barrier, K., & Paige, J. (2012). Interprofessional team-based training. In Robertson, Paige & Bok, Simulation in Radiology. New York: Oxford University Press. Type: Podium, Poster, Workshop, etc. The Impact of a Deliberate Practice Educational Intervention with High Fidelity Patient Simulation on Baccalaureate Nursing Students’ Self-Confidence, Skill Acquisition, and Communication.